When you purchase a vehicle with the CARFAX Buyback Guarantee, you're getting what you paid for. The Hyundai Elantra SEL speaks volumes about it's driver, uncompromising individuality, passion for driving, and standards far above the ordinary. It's exceptional fuel-efficiency is a clear sign that not all vehicles are created with the same standards. The look is unmistakably Hyundai, the smooth contours and cutting-edge technology of this Hyundai Elantra SEL will definitely turn heads. The quintessential Hyundai -- This Hyundai Elantra SEL speaks volumes about its owner, about uncompromising individuality, a passion for driving and standards far above the ordinary. CARFAX BuyBack Guarantee is reassurance that any major issues with this vehicle will show on CARFAX report. The greater your fuel-efficiency, the less your carbon footprint. And with exceptional MPGs, this Hyundai Elantra treads ever so lightly on Mother Earth. CARFAX BuyBack Guarantee is reassurance that any major issues with this vehicle will show on CARFAX report. You could spend more on fuel each month than on your vehicle payments, so why not consider one with exceptional fuel economy like this 2017 Nissan Versa Sedan. The 2017 Nissan exterior is finished in a breathtaking Super Black, while being complemented by such a gorgeous Charcoal interior. This color combination is stunning and absolutely beautiful! 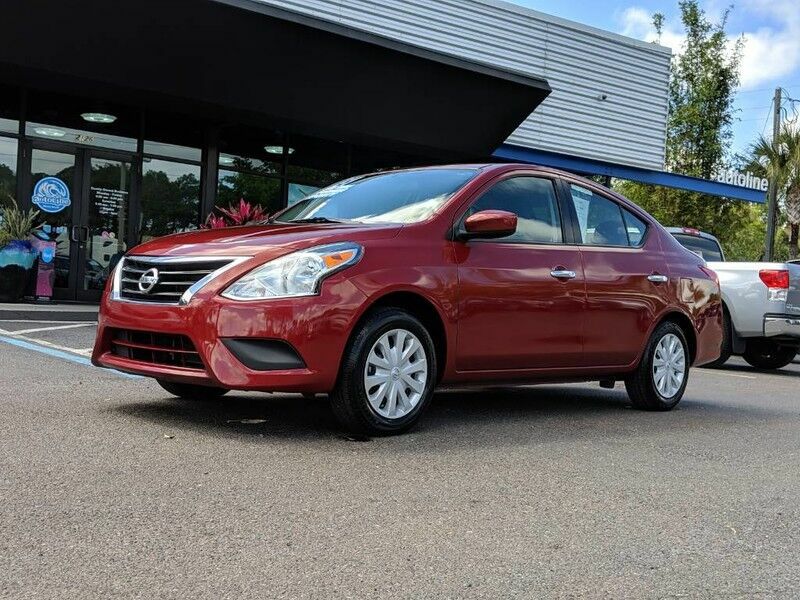 The look is unmistakably Nissan, the smooth contours and cutting-edge technology of this Nissan Versa Sedan SV will definitely turn heads. Your buying risks are reduced thanks to a CARFAX BuyBack Guarantee. Why spend more money than you have to? This Ford Focus will help you keep the extra money you'd normally spend on gas. The look is unmistakably Ford, the smooth contours and cutting-edge technology of this Ford Focus SE will definitely turn heads. CARFAX BuyBack Guarantee is reassurance that any major issues with this vehicle will show on CARFAX report. Outstanding fuel economy and sleek styling are two great reasons to consider this Nissan Sentra. Your buying risks are reduced thanks to a CARFAX BuyBack Guarantee. The Hyundai Elantra SE speaks volumes about it's driver, uncompromising individuality, passion for driving, and standards far above the ordinary. It's exceptional fuel-efficiency is a clear sign that not all vehicles are created with the same standards. This vehicle is loaded with great features, plus it comes with the CARFAX BuyBack Guarantee. The impressive Nissan fuel-efficiency will make you quickly realize what you've been missing out on in life. It's noteworthy fuel economy and minimal emissions make this vehicle's value a cut above the rest. Low, low mileage coupled with an exacting maintenance program make this vehicle a rare find. Driven by many, but adored by more, the Nissan Versa Sedan SV is a perfect addition to any home. Your buying risks are reduced thanks to a CARFAX BuyBack Guarantee. This 2017 Ford Fiesta has great acceleration and wonderful styling without sacrificing exceptional fuel economy. The impressive Nissan fuel-efficiency will make you quickly realize what you've been missing out on in life. It's noteworthy fuel economy and minimal emissions make this vehicle's value a cut above the rest. A truly breathtaking example of pure vehicle design achievement...this is the vehicle of your dreams! The look is unmistakably Nissan, the smooth contours and cutting-edge technology of this Nissan Altima 2.5 SV will definitely turn heads. Just what you've been looking for. With quality in mind, this vehicle is the perfect addition to take home. CARFAX BuyBack Guarantee is reassurance that any major issues with this vehicle will show on CARFAX report. When it comes to high fuel economy, plenty of versatility and a great looks, this NissanSentra SV cannot be beat. This Nissan Sentra's superior fuel-efficiency is proof that not all vehicles are created equal. There is no reason why you shouldn't buy this Nissan Sentra SV. It is incomparable for the price and quality. You can finally stop searching... You've found the one you've been looking for. Save money at the pump with this fuel-sipping Nissan Sentra. You can finally stop searching... You've found the one you've been looking for. There are many vehicles on the market but if you are looking for a vehicle that will perform as good as it looks then this Nissan Sentra S is the one! The Nissan Sentra S will provide you with everything you have always wanted in a car -- Quality, Reliability, and Character. Your buying risks are reduced thanks to a CARFAX BuyBack Guarantee. Save money at the pump with this fuel-sipping Ford Fiesta. This vehicle is loaded with great features, plus it comes with the CARFAX BuyBack Guarantee. This vehicle was engineered to be both economically and environmentally friendly with exceptional fuel efficiency. There is no reason why you shouldn't buy this Nissan Sentra S. It is incomparable for the price and quality. Based on the superb condition of this vehicle, along with the options and color, this Nissan Sentra S is sure to sell fast. The 2017 Honda exterior is finished in a breathtaking Crystal Black Pearl, while being complemented by such a gorgeous Black interior. This color combination is stunning and absolutely beautiful! This 2016 Ford Focus comes with a CARFAX Buyback Guarantee, which means you can buy with certainty. Why spend more money than you have to? This Ford Focus will help you keep the extra money you'd normally spend on gas. The Ford Focus SE will provide you with everything you have always wanted in a car -- Quality, Reliability, and Character.